PhilBoxing.com >> News >> List of Articles >> Edwin G. Espejo: PACQUIAO WATCH: Is Hatton doing a Marquez? PACQUIAO WATCH: Is Hatton doing a Marquez? THE proposed fight that will pit new boxing superstar and biggest draw Manny Pacquiao against the Mancunian Hitman Ricky Hatton is in danger of falling by the wayside. Hatton, who holds the fringe light welterweight title of the International Boxing Organization, is being groomed as Pacquiao's next opponent, possibly in May next year. But a chess match is fast shaping in this bout between two of the biggest names in boxing with a fan base that is as rabid as they can get. From the grapevine, Hatton's camp reportedly wants the fight to be staged at the Wembley Stadium in London where some 90,000 Brits are expected to turn up and cheer their hometown hero. There should no problem with that as Manny has declared he will fight Hatton anywhere and anytime. The trouble is that, according to a reliable source, Hatton wants to do a Juan Manuel Marquez caper reportedly demanding huge payday and a considerable share in the pay per view proceeds. If the fight takes place in London, expect Hatton's camp to demand the lion's share of the PPV sales in London. Now, that would be a very unreasonable demand given that Manny will have to wake up at dawn and fight Hatton by mid-morning to accommodate live feed in the US. No wonder some sources from the Hatton camp are trying to lure Floyd Mayweather out of retirement and into a rematch to up the ante against Pacquiao and Top Rank's Bob Arum. 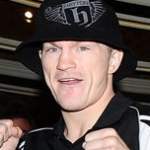 While Hatton has a considerable fan base as proof of the thousands of Brits who flew from England to cheer their countryman his losing bid against Mayweather, his PPV appeal pales in comparison with Pacquiao. His fight against Malignagi didn't even top the 200,000 mark and his biggest purse was against Mayweather at US$10 million. Pacquiao's PPV numbers are steadily growing and was the only fighter outside of the Oscar de la Hoya to top the one million PPV buy mark in 2008. Of course, credit goes to De la Hoya, undoubtedly the biggest PPV name in boxing history. Combined with his March and July matches with Juan Manuel Marquez and David Diaz, Pacquiao was able to generate more than 2 million buys in 2008. Against Hatton, who will corner the larger share in the PPV proceeds and who will get the bigger guaranteed purse? No doubt it should be Pacquiao, him being the bigger draw and the undisputed pound for pound king after his masterful destruction of Oscar de la Hoya. Even Hatton has conceded that Pacquiao is the biggest name in boxing today. Hatton's camp is wrong if they think a Mayweather comeback and a fight with the British freight train is its trump card. Mayweather will not come out from his retirement cocoon to fight Hatton whom he already demolished in 10 rounds. If ever Mayweather fights him, it will be for a tune-up match and for lesser money for the Mancunian brawler. If Hatton again loses that one (the rematch), his bargaining chips will dramatically nosedive. Now is the best time for Hatton to fight Pacquiao and not after a possible Pacquiao-Mayweather Royale Battle. If he wins, he is almost guaranteed a rematch with Mayweather. Lose and he will still have a few fights ahead of him. But without Pacquiao, Hatton will not find a fight that will still guarantee him $2 million. Pacquiao won't settle for anything less than $10 million in his next two, possibly three, fights and will even settle for a split or take less money as against Mayweather in that Royale Battle. How about The Bullfight or Clash of the Gladiators as title for a May Pacquiao-Hatton fight?